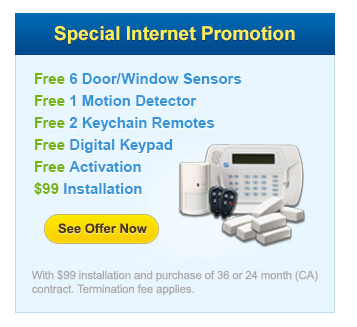 The benefits of having a home security system within your home are numerous. You simply cannot be too safe in today’s day and age. Whether it is from criminals or Mother Nature, there is no predicting what is going to happen next month, tomorrow or even today. But having a system you can count on and rely on at all times is a feeling like you have never experienced before. All you have to do is turn on the news or open the newspaper to realize crime is happening all over the world every day. There is no escaping it, but it is not something you should have to hide from either. 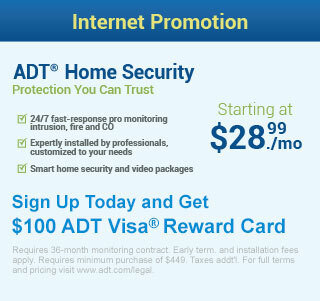 With a home security system, you can finally get the protection you and your family deserves. Home security systems come with an array of different intrusion features to protect your family during the worst possible moment. From motion detectors and shock sensors to glass-break detectors and security screens, each feature can ultimately save your life at some point down the road. While protection from crime is a big part of home security systems, it is just one of the many benefits of having a home security system. Fires continue to take over one home after another. And regardless of whether it is an electrical fire or an accidental fire started from a candle, it can be just as dangerous. But smoke detectors and heat sensors can get you out just in time. Carbon monoxide is something that sadly gets overlooked far too often. With a name like the silent killer, you would think it would be something worth paying attention to. Having an alarm system in your home can help you identify high levels of carbon monoxide so you can get the toxic air out of your home before it is too late. A lot of home security systems offer panic buttons that can be pressed in the event of some kind of medical emergency. If you were to have a heart attack, a stroke or fall down the stairs and seriously injure yourself, a panic button is a simple way to get a hold of emergency personnel to assist you in a timely manner. Benefits of having a home security system are noticeable in many ways, but sometimes it’s just having a peace of mind that means the most. Rather than wondering if poisonous gas is floating in the air, the system will reassure you of high or adequate levels. And never again will you go to sleep fearing it may be the night that someone actually breaks into your home and attacks your family.